Being a Delhi fan, before every season I go around telling my friends, 'Guys, this is the year!' only for all the MI and KKR fans to laugh at me at the end of it. Gautam Gambhir, AB de Villiers, David Warner, Virender Sehwag - they have all come and gone, and Delhi are yet to reach the finals, let alone win the trophy. But what is gone is gone. 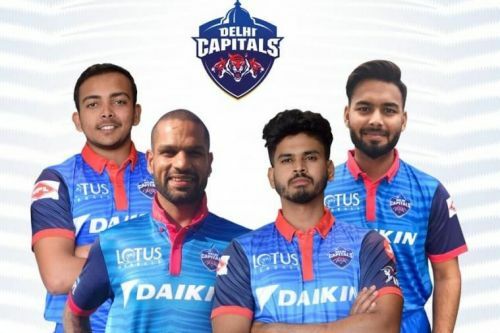 The pressing question now is whether the new 'Delhi Capitals' can rekindle the city's fortunes. Right before the auction, Delhi swapped Vijay Shankar, Abhishek Sharma and Shahbaz Nadeem for Shikhar Dhawan, which produced mixed feelings inside the fans. One part of my head jumped with joy at the arrival of 'The Gabbar', who would provide tons of experience and composure to the team. The other pondered whether it makes sense to lose three young players full of potential only to add an opener to a team which is already solid at the top order. Some releases were also questionable like Mohammed Shami and Glenn Maxwell. Nonetheless, Ricky Ponting must have had a plan in mind which will only be revealed once the tournament starts. All in all, this year Delhi have a very young and exciting squad which is full of potential. The top order is mouth-watering; Prithvi Shaw impressed everyone with his hard-hitting debut last season, while Rishabh Pant did not fail to bring tears to every other team's bowling order. Sheyas Iyer, after taking over the helm from Gautam Gambhir mid-way through last season, has been reliable and consistent - both as a leader and a batsman. Shikhar Dhawan requires no introduction. He is one of the highest run-getters in IPL history and he will definitely provide brilliant performances for Delhi this season. Colin Munro has not lived up to his expectations so far, but he definitely has the ability to go for the Orange Cap this season. Acquisitions like Colin Ingram and Hanuma Vihari will provide the much-needed solidity in the the middle order. Axar Patel and Chris Morris are expected to provide balance with both the bat and the ball. Trent Boult and Kagiso Rabada, two world-class pacers, will lead the bowling attack while Amit Mishra will be expected to stagnate the run rate of the opposition while taking multiple wickets using his brilliant spin abilities. Other players, like Rahul Tewatia, Ishant Sharma, Avesh Khan, Harshal Patel, Sherfane Rutherfod, Keemo Paul etc will provide excellent back-up options to the team. And Sandeep Lammichanne could well take the IPL by storm if his mystery spin confuses batsmen.